Amazing men and women participated in the SLMsmart 90-day Challenge beginning February 2015. Participants all over the United States dedicated themselves to take big strides toward healthy living. Synergy WorldWide was honored to provide each participant with the necessary tools for healthy, maintainable weight management. The Challenge results were terrific, and the challenge participants' success with SLMsmart will influence many around the world. "I have never been successful at dieting and honestly didn't expect to last the first month with this Challenge. The Facebook page helped to keep me motivated. The [SLMsmart] Health Shake is delicious and the products in the SLMsmart pack work perfectly together. The meal plans never left me hungry and I was always amazed at how simple a delicious meal could be. Lynn and Drew Manning's coaching was perfect. The workouts were challenging, but not frustrating, and left me able to complete my day without feeling sore and tired. Now that I have detoxed my body, I enjoy eating healthy food more than ever! I feel great, I look great, and I am excited to continue living healthy and teaching my children about health eating. I started this competition at 202 lbs. I am proud to say I have lost 22% of my body weight, ending the Challenge at 156 lbs.! 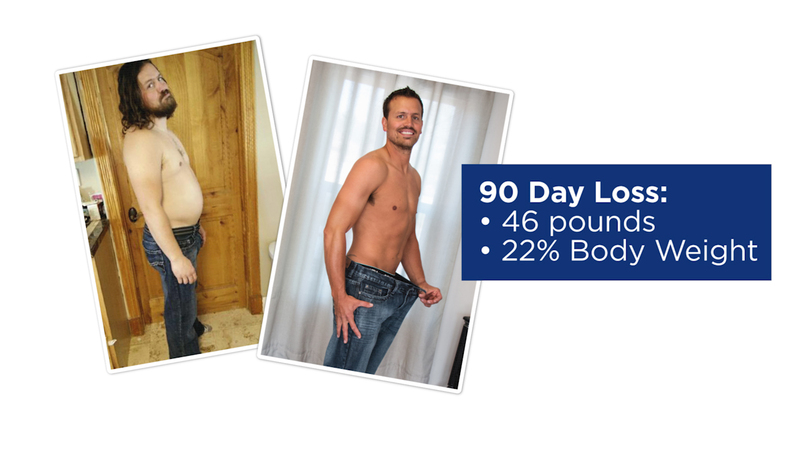 That would not have been possible without the 90-day SLMsmart Challenge. Thank you Synergy!" Check back next Friday to see the 2nd place winner's unbelievable results.